As of today, Amazon Publishing is entering the wonderful world of sequential art publishing with its new imprint, Jet City Comics. 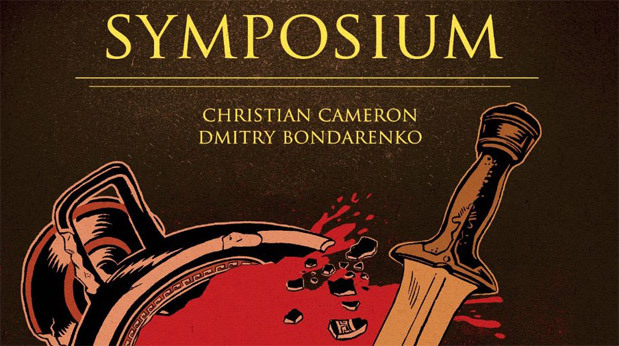 Its inaugural issue, Symposium #1 by Christian Cameron, is sure to please fans of Neal Stephenson's The Foreworld Saga. Also joining Jet City Comics are sci-fi/fantasy luminaries like George R.R. Martin and Hugh Howey. Martin will be teaming up with artist Raya Golden on an adaptation of Meathouse Man, a story so twisted, it makes Game of Thrones look like a Disney fairytale. View this article and then return here to rate it. Interesting, and it seems they have some big name talent to start things off. May be worth checking out when the solicits come out.